Vitamin C is one of the most well known vitamins and is scientifically called ascorbic acid, which plays pivotal roles such as strengthening collagen and soft tissues, boosting immune function and helps mitigate free radical damage to our bodies. Sources of vitamin C contain citrus fruits and juices and vegetable. 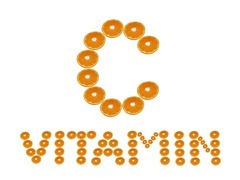 Like all vitamins, excess intake of vitamin C can result in adverse reactions and health problems due to toxicity. The tolerable upper limit for vitamin C is 2,000 mg according to the Merck Manual and several other sources. Symptoms will start to appear as daily intake exceeds 2,000 mg.
Hemolytic anemia – those with a genetic deficiency of an enzyme (G6PD) will rapidly break down red blood cells leading to anemia, fatigue and weakness. Kidney stones – large doses of vitamin C over time lead to accumulation of calcium oxylate. This is the most common type of kidney stone. Excess iron absorption and possibly iron toxicity (hemochromatosis). This can result in damage to the liver and heart. Treatment requires phlebotomy to remove a pint of blood periodically until iron levels decrease. Treatment of overdose includes first stopping any vitamin C supplements. Excess vitamin C is excreted in the urine so proper hydration is key. Be sure to drink plenty of water to flush your system and also replace any excess fluid losses caused by the diarrhea that often accompanies vitamin C toxicity. Pay attention when taking multiple supplements and vitamins; be sure to read labels so that you know what you are actually taking in each day. Avoid injections of vitamin C and consult with your doctor if a recommended treatment seems unclear. A well balanced diet with fruits and veggies along with a daily multivitamin provides enough vitamin C to meet the body’s daily requirements. Some studies report the upper recommended limit for men and pregnant or breast-feeding women is 130 mg per day.